Becca sure is ready to do the damn thing. If you're anything like me, you live for reality tv, especially when it involves the dating show we all know and love ... The Bachelorette. Here are my favorite moments from last night's season premiere. Beware - there are spoilers below! The episode started off with a bang, aka reuniting some of the best and most fabulous Bachelorettes of seasons past. 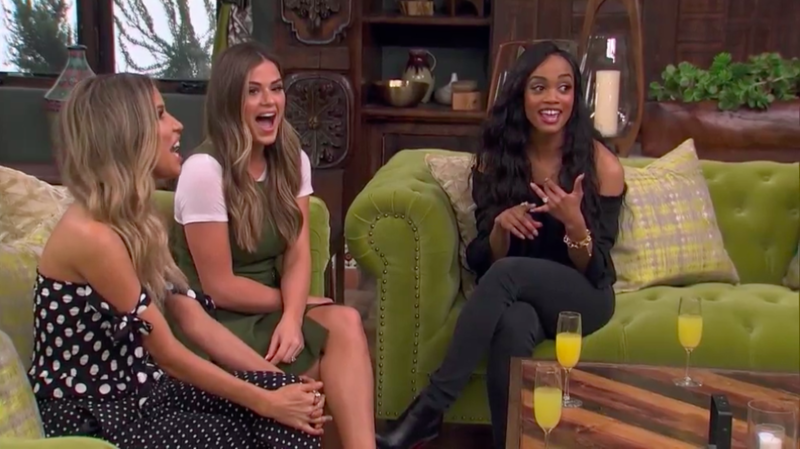 It was so great to see Jojo, Rachel, and Kaitlyn again, giving advice to Becca. A highlight definitely was them setting off the fire alarm from trying to burn sage in the mansion. This guy is actually perfect. From being a former football player, the founder of a Cystic Fibrosis Foundation and his adorable dog, this guy is almost too good to be true. Did I mention how good looking he is? 3. Becca's fabulous first-night look. 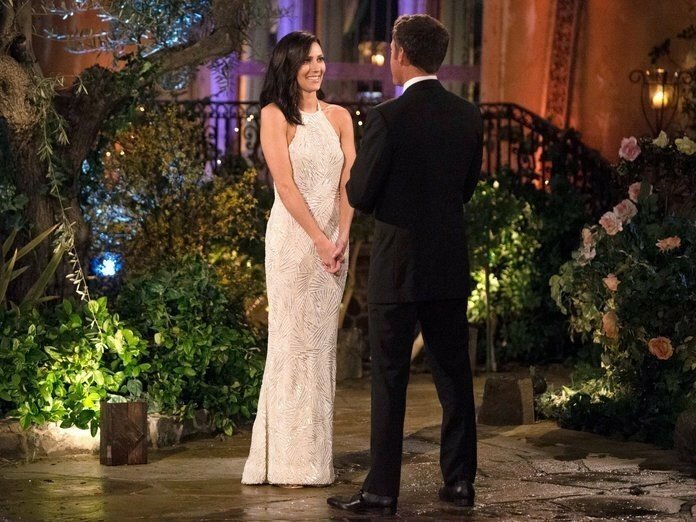 We all know that Becca has impeccable style, so it comes as no surprise that her first-night dress was gorgeous. The sparkles, the style, the rings, everything was perfect. This guy stole the night without a doubt. With chicken pun after chicken pun, he definitely earned his rose. Everyone will remember "Becc-a, becc-a" from his eggs-ellent night. 5. Jordan being so terrible that he was funny. This guy truly was something else. He is probably one of, if not the most, pompous and arrogant contestants ever on the show. But his constant commentary was a highlight of the episode. I couldn't stop laughing. 6. 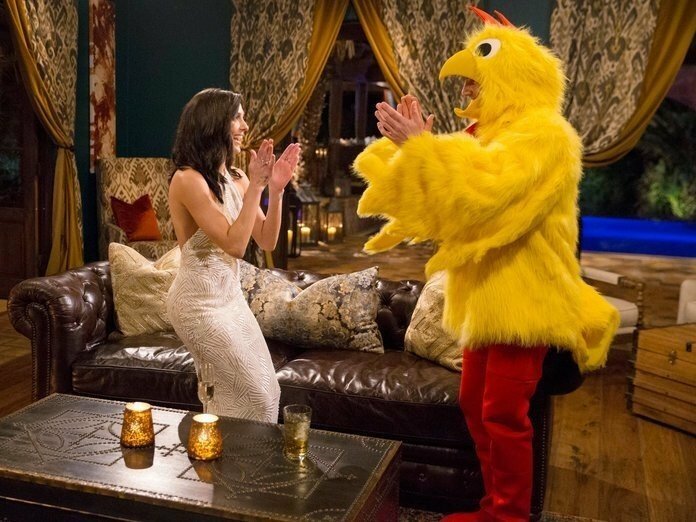 Becca sending Jake home. This guy was shady. Not only did he and Becca hang out in their friend group back at home, but he never expressed any interest in her ... until she was the Bachelorette. He clearly only wanted to be in the show and cared about her until she was on the show so she rightfully so sent him packing before the rose ceremony even began. 7. Joe the grocery store owner. Petition for this guy to be the next Bachelor? I think yes. He was so adorable and sweet! I was shocked when Becca didn't give him a rose but kept the stuntman and jerk model. I don't get it. Joe was one of the best guys, so it's a shame she let him go so early. 8. Blake riding up on an ox. 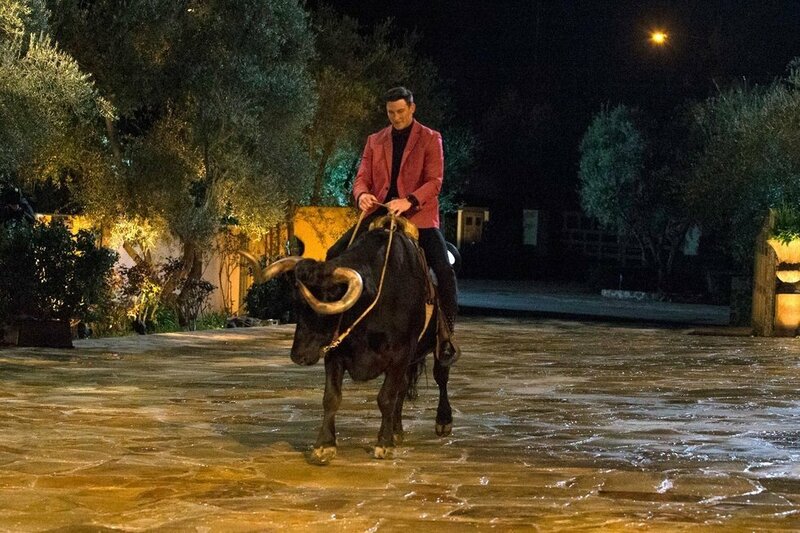 Not only did this guy make a fantastic first impression on After The Final Rose, but he did the same thing again when he rode up to the mansion on an ox. He's good-looking, sweet and clearly knows how to make an entrance. This guy will definitely be around for a long time. I don't think there's ever been a season premiere with quite as much drama. When one of the contests knew Chase's ex-girlfriend from home and she rose concerns about his character the downward spiral began. When Chase spoke to Becca about it, she didn't seem convinced and the rest is history. 10. Garrett getting the first impression rose. From his opening interview, Garrett was a standout. From his quirky humor, good looks and genuine personality, it was clear from the second he stepped out of that mini-van he was a top contender. If it what Jojo, Rachel, and Kaitlyn are right about the first impression rose and kiss being the final man, then Garrett might just be around until the end. 11. The preview for the rest of the season. With lies, tears, fights, even an ambulance, this season is shaping up to truly be one of the most dramatic yet. But as long as Becca finds a husband and is happy then I'm happy. 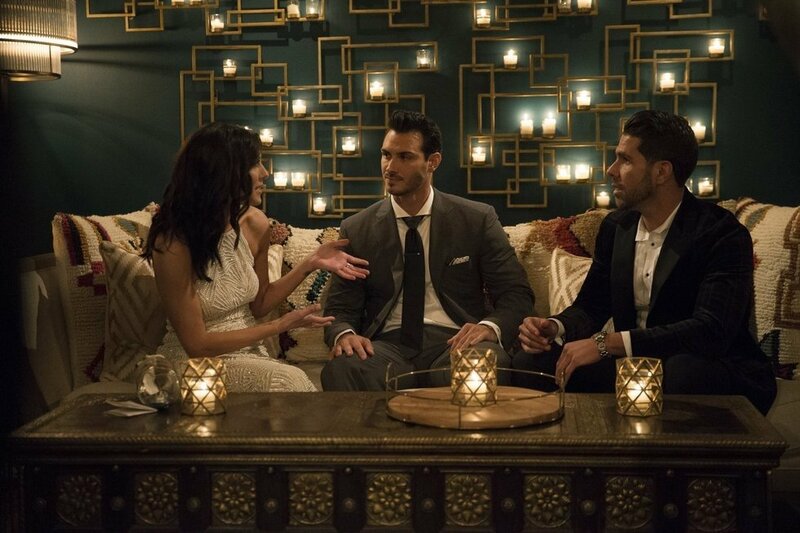 Bachelorette season is in full swing, and I can't wait to see what's to come.